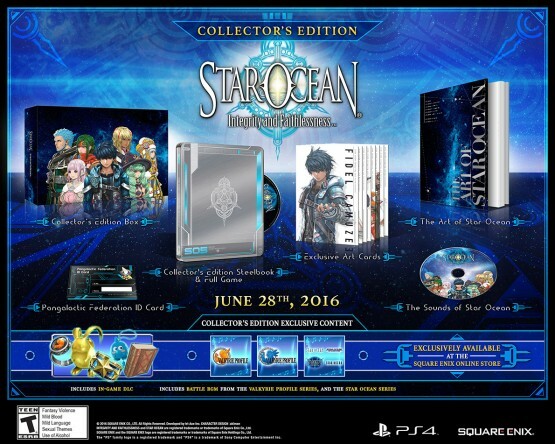 After revealing last week that Star Ocean: Integrity and Faithlessness is releasing on June 28 in North America for PlayStation 4, Square Enix confirmed today that it’s coming to Europe on July 1. It has been quite long since the last instalment was released and the time has now come for us to share another “tale of the sea of stars” with you. I personally adore this franchise and have been excited to be involved in the process of its resurrection. There are fewer JRPGs for consoles on the market these days and I believe that this makes the release of this new game particularly significant. The franchise has always featured exhilarating action battles and with the new game, we deliver an evolved combat system which can involve a party of up to seven characters and it is easier to execute combo attacks. There are also many new and additional game items and content that we hope may encourage you to replay the game for added value, and I sincerely hope you will give this game a try. We would really like to get your support so that we can continue to tell more “tales of the sea of stars”. Will you go for the Collector’s Edition?